One of the costliest thing of all personal injuries that occur to an individual would be the ones that result from an automobile accident. Depending on the circumstances that surround the accident and the types of injuries are caused, it can be potentially life threatening to the person who was injured. 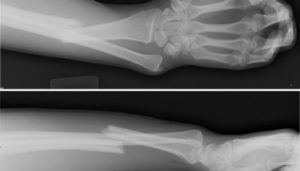 Unfortunately, some of these injuries can mask or they could even aggravate a previous condition to the point that it could possibly be extremely serious. This is why it is imperative that if you are involved in an automobile accident, you should always seek medical treatment immediately. With most auto insurance policy, you are entitled to receive medical treatment at NO cost*, even if you’re at fault. The trauma caused by even the most minor of automobile accidents can be noticeable or they could be relatively minor in nature and you might be tempted to avoid the hassle of going to the ER right away. However, some life threatening injuries might not show up right away and you could be making a huge mistake by not seeking treatment right away. Radiating pain into your arms or legs? Whiplash? 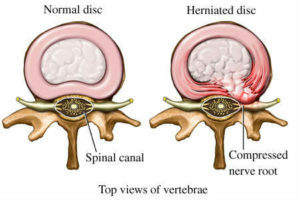 How do you know if you have disc herniation/protrusion after auto injury? With appropriate referral for diagnostic imaging of CT scan or MRI, we can help discover the problem early and fix it early. 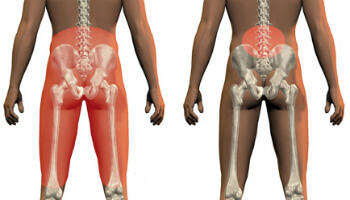 If untreated, they could get worse and cause chronic pain. The way the body reacts to the trauma caused by a car accident is nothing to mess around with. If you already have any current or previous medical conditions that could be aggravated by the accident you wouldn’t want to miss the opportunity to get treatment in case it becomes a life threatening situation. The best way to ensure that all of your costs and injuries are fully taken care of is by seeking medical treatment right away. The insurance company and your employer will definitely require documentation in a timely manner in order to consider your claim for reimbursement for medical bills, lost wages, rental cars and a number of other expenses. If you waited too long to get treatment, insurance company can deny your benefits. So, what do you think? Don’t wait.